You have to wonder what it is about the male species that compels us towards such goofy behaviour. Take Belgium’s Trappist monks. After turning their backs on regular society and female companionship, they erected their monasteries and devoted themselves to a life of dedication in the pursuit of the deep spiritual understanding of, well, er…beer. You see, this is what happens when women are taken out of the equation, men end up getting collectively obsessed about the best way to make or build, or do, something silly. As a student in a house full of young men, we soon ended up trying to fire home-made rockets from the rooftops, and I’m pretty sure that various homebrews were attempted at times, although the memory is a little hazy. But the Belgium monks took this to such an extreme level, that they ended up creating a whole new national identity for the country in which they lived. 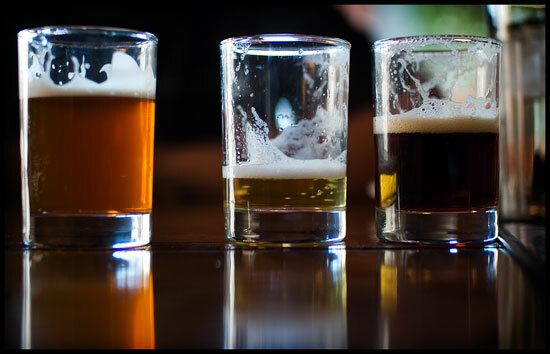 You can now find approximately 125 breweries in Belgium producing over 500 different ales of various exotic flavours; you know them, they’re the ones that young men happily pay well over the odds for in trendy pubs across England. Personally I’ve never been drawn to them. I was raised in Spain, a place where bars traditionally offer one beer on tap and exactly the same beer, but in a bottle, as the alternative. Perhaps this is why, whenever I’m in a modern gastro pub, regardless of the myriad different beers on offer I always seem to choose a pint of the pissiest mass-produced lager available. I know this is anathema to the 1000s of connoisseurs of fine ale out there, and I sincerely apologise for my philistinism, although you could look on the bright side; more strawberry, vanilla and elderflower ‘lady lager’ for the rest of you. Still, Belgium is a country of unique beer producing pedigree and Trappist beers are considered the best of the lot. With six out the seven Trappist breweries in the whole of the world situated in Belgium, it is the only place to go for genuine beer fans. I have so far counted eight beer festivals in Belgium this September, and nearly all of them promise to showcase the best that each region has to offer, explaining the history of hops and offering guided tours around breweries. The idea of spending a week immersed in the culture of the ale even gets an ignoramus like me excited, but for genuine fans of the perfumed pint, now is surely the time to stop dreaming and start planning that big blow out in Brussels. Having just endured a miserable existence living amongst the poor in Paris, where he wound up scrubbing pots in the bowels of the infamous Hotel X, George Orwell set about assembling a list of his favourite British things, as he sat in the third class compartments of a return ship bound for London. ‘There are, indeed, many things in England that make you glad to get home; bathrooms, armchairs, mint sauce, new-potatoes properly cooked, brown bread, marmalade, beer made with veritable hops – that are all splendid,’ he scribbled away excitedly. Whilst Orwell as usual is quite concise and quite correct, he could well have expanded a little further. There are a number of additional things that we Brits treasure closely; strawberries, wellington boots, dimly lit pubs crammed full of dark-varnished furniture and, of course, our boats. As with any people that live on as island we need boats for two principle reasons. 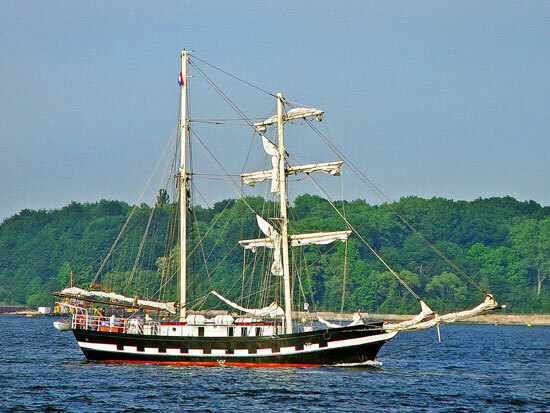 Firstly, if we want to leave we can get in one and sail off into the blue. Secondly, if anyone wishes to come in without permission then they have to get past them first. Browsing through a list of British national heroes, one can quickly discern that our admirals, captains and sailors all feature heavily in the national conscious. There is Walter Raleigh, Francis Drake, Captain James Cook and Vice-Admiral Horatio Nelson, each of whom made their names striding about the poop deck whilst wearing a silly hat. The boats themselves are held in a similar level of reverence. Just think of the Cutty Sark, The HMS Victory and the SS Great Britain, all three of which are still bobbing up and down in harbours across the country and are as much an important part of our social fabric as all of the marmalade in the world. Then consider the fact that we would be aghast at anyone who would dare to daub a boat with garish modern art as we do quite happily to our aeroplanes; instead we paint them a brilliant white perhaps adding an elegant stripe or two. Whilst for the launch, we require the attendance of the most important people for miles around, allowing a member of the aristocracy to soak the new vessel in finest Champagne in front of the great and the good. We do all of this because our boats have for centuries been our finest feature; our impenetrable shield. For centuries the Royal Navy has patrolled the seas, protecting us with effortless grace; casting off the threat of the Spanish Armada, being the thorn in the side of Napoleon Bonaparte and wrecking the careful plans of the wicked NAZIs. As a result, we now hold boats in the highest esteem. We watch them slip in and out of the harbour, use them as much as we can and when we clamber onboard, we often feel more than a sharp pang of pride. 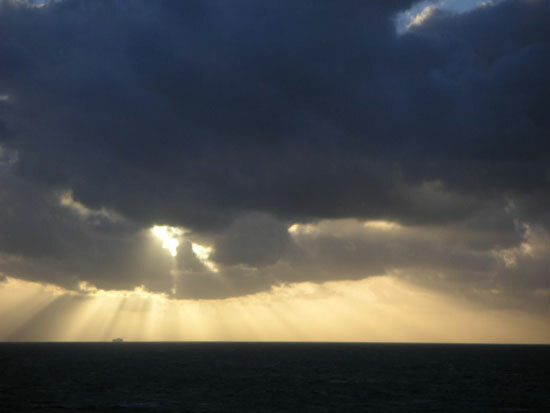 The stretch of sea-water that separates Britain from the continent has had many names throughout its long history: Mor Breizh, La Manche, Oceanus Britannicus, the English Channel. Some are still in use today and others long forgotten. But whatever you wish to call it, and whether you find its grey-silver shimmer – that makes separating sky from sea a regular impossibility on most days – either dramatic and beautiful, or dreary and depressing, you have to be slightly in awe of the fact that this little aquatic through route has had a bigger influence on shaping the modern world than perhaps all the oceans, seas and great lakes of the world combined. P&O Ferries sail daily between the continent and Britain, sharing the shipping lanes with over 400 other vessels, all contributing to it being one of the world’s busiest shipping routes. And while the Channel remains vastly important to the economic health of the UK and many other parts of the world, its real contribution has been to cut off a country from its neighbours and protect them from the political storms and vacillations that regularly swept across Europe, giving its Island dwellers the freedom to develop the English language and pioneer experiments in law and democracy. In fact had the great floods that created the Channel not occurred, somewhere between 450,000 and 180,000 years ago, would 90% of all the traffic on the internet in 2008 be conducted in English? When we look back on our history one thing that is always reaffirmed is the crucial role that geography has played in the fortunes of a nation. The channel, with its perilous tidal waters and its unpredictable weather, has saved Britain from conquest on numerous occasions; checking the Spanish Empire, Napoleon and Nazi Germany in the last 400 years alone. It was the first of these victories that would lead Britain to establish an Empire, something that many people around the world would say was a source of regret, others a source of pride and progress. Whichever side of the fence you sit on in that debate, everyone must agree that its subsequent collapse has launched the British into an identity crisis from which they have yet to recover. But it really isn’t too much to say that if it wasn’t for the channel, we probably wouldn’t have had the time to invent football, tennis, rugby and cricket, let alone parliamentary democracy. We would have been in the same boat as our European neighbours; constantly dealing with the consequences of having vast foreign armies march across our borders at regular intervals throughout our history. So perhaps when you book your trip with P&O Ferries, you might want to pop out onto the deck and have a look at that grey salty mass of liquid and give it a bit more appreciation than you normally would. After all this is the sea that’s given you Shakespeare, the Beatles, Monty Python, punk and even America. You cannot say that other nations wouldn’t have done a better job at shaping the modern world, but the fact is they didn’t, and we are where we are; mostly because of this little stretch of water called the English Channel. Having spent the weekend playing mini-golf in Bournemouth, where it actually rained at 90 degrees for most of Saturday, I’ve realised that I’ve discovered a whole new world. Putting up my tent at a campsite in the New Forest, where wild horses and ponies wander past your pitch without a care in the world, I soon noticed that the vast majority of my canvass dwelling neighbours were speaking French. Always keen to strike up conversations with the mainland folk, I got talking to Julian from Caen and soon discovered that Portsmouth is in fact a regular destination for families from Normandy who come over to camp in the New Forest and discover the natural wonders of what is, I suppose, one of their old colonies. But it also works in the other direction; every summer increasingly larger numbers of young British families are packing up their tents and catching the ferry over to Cherbourg, where you can access some of the best camping facilities in Europe. The French have long been aficionados of the canvass family holiday, but it has only been quite recently that large numbers of Brits have discovered the pleasures of living under the stars for a couple of weeks too. As we all become more aware of our environment, after almost 60 years of pretending it doesn’t exist, a younger generation of new families are increasingly looking to alternative holiday experiences that support a more environmentally conscious lifestyle. Far from the kinds of places where you would expect to find Sid James and Barbara Windsor chasing each other about the barbeque, today’s campsites are actually little beehives of young modern and fashionable family units, offering great holidays with excellent facilities on both sides of the channel. But if you are planning to join the party, be quick. Campsites around Portsmouth and Cherbourg book up quickly these days and rarely have any last minute places, so you might need to start planning early for next year. 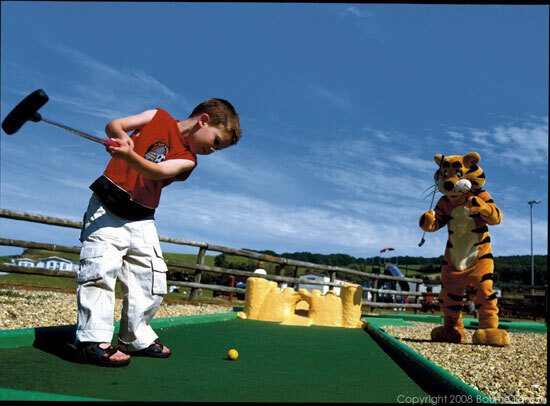 I will be heading off into the Normandy countryside next summer, where I don’t expect to find such a good mini-golf pitch as the one we left behind in Bournemouth; however I’m hoping that I won’t find the 90 degree sheeting rain either. In our Premier League of all-time Kings and Queens, Henry VIII is right up there with the best of them. He is remembered as a womaniser, a religious renegade, a ruthless demagogue and man that was rather keen on tennis. We know this last fact because recently someone discovered one of his mouldering tennis balls lodged in the roof of Westminster Hall. Henry VIII was equipped with all of the personality of a self-confident lion, which means that he has rather stolen his father’s thunder. Far from being a chip off the old block, Henry VIII’s impetuous personality was the mirror image of that of his father, the first Tudor king, Henry VII. Henry VII was a wily operator, whose gritty determination had been fostered during a 14 year exile in Brittany. Driven and ambitious, he eventually succeeded in drumming up an army of 5,000 men, mostly comprised of Scottish and French mercenaries, and arrived in England, promptly defeating King Richard III (later of Shakespearian fame) in a bloodbath at the Battle of Bosworth Field in 1485. By 1485, royal administration of England somewhat resembled the current managerial situation at Chelsea football club, as Henry became the fourth man to slip on the royal crown in just two years. 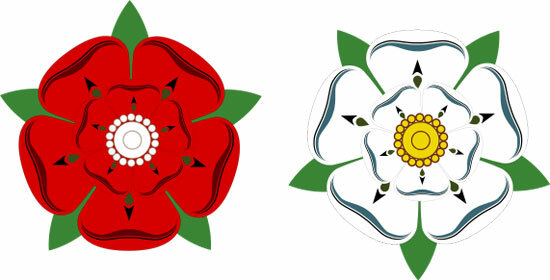 The wars between the House of Lancaster and the House of York (remembered as the Wars of the Roses) had been raging for thirty years and Henry VII’s throne must have seemed a very wobbly one indeed. However, Henry proved to be just the man for the job. By marrying Elizabeth of York (who is thought to be the inspiration for the queen in a deck of cards), Henry fused the two warring factions together and he soon set about assembling his own Tudor dynasty with the birth of Arthur, who died in 1502, and Henry. Henry VII is remembered by historians for his effective suppression of rebellions by a couple of eccentrically named pretenders. The first of these was Lambert Simnel, who was crowned as King of England in Dublin in 1487 and was subsequently defeated emphatically at the Battle of Stoke. Following Simnel came Perkin Warbeck, a Flemish lad who happened by chance to closely resemble one of England’s murdered princes, Richard of York. After a number of aborted invasion attempts and a flurry of pan-continental squabbling, Warbeck finally carried off a military campaign in Cornwall that quickly descended into a fiasco in 1497. Tudors being Tudors, Henry VII had Warbeck hanged for his troubles, but extended a touch of ironic magnanimity to Simnel, setting him to work in the King’s kitchens as a spit turner. Henry himself lived on until 1509 when he bequeathed his kingdom to his unruly son Henry, allowing the frivolity, weddings and executions to ensue. So, whilst we often find time to remember the wife-swapping, priest chopping, vain Henry, we should also spare a thought for his father who set things up in the first place. As Englishmen we are still fond of our red-headed Spanish-defying Tudors, and it is important that we appreciate the man the set up the shop in the first place, Henry VII. Etaples, which is situated on the northern French coast, is the site of one of Henry VII’s major diplomatic successes, as here he signed a treaty of alliance with the dangerous French in 1492. You can also discover more about the Flemish origins of the ‘pretender’ Perkin Warbeck by visiting his home town of Tournai. Both of these destinations are within a short distance of Calais. Find the best online offers on ferries to France to enable you to visit these destinations today. John Hillman provides us with a sociological appreciation of that yellow stuff that is more important to the French than all the gold in the world. What is it about cheese that sends the French into such frenzy? And what does it say about the ‘bon viveur’ attitude of a nation that they put so much effort into making something that serves little purpose other than the giving of pleasure? Good things, I’m sure you’ll agree. Cheese is to the French what big scary guns are to Americans; part of their national raison d’être. Indeed if the French had invested as much time in their space technology as they did in their cheese making then they may have put the first man on the moon. Although in truth they probably thought about it and decided that if the moon really is made of cheese, it wasn’t going to be cheese made by a Frenchman, so why bother? 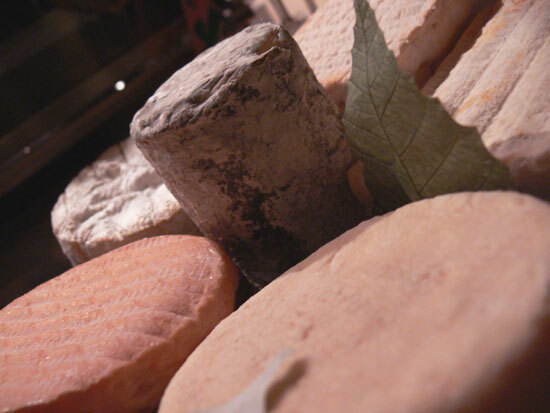 The supreme quality of cheese in France is really a gift to humanity as noble as their contributions to philosophy. Because, let’s face it, only a nation that has perfected the art of simple pleasure to such a ridiculously high level could have produced so many of the great thinkers behind the Enlightenment such as Voltaire and de Tocqueville. The US on the other hand can be accused of having offered very little culturally beyond Hollywood and Hip-Hop, and unsurprisingly this is reflected in their cheese; bland, plastic and shifted in large quantities. Perhaps one day a serious study will be conducted into the links between nations’ cheeses and their national characters. I’m sure you’ll agree that it represents a sizeable gap in humankind’s academic body of work. Until that day let us at least be thankful for our near neighbours, land of 1000 cheeses and unshakeable belief in man’s noble right to the pursuit of life’s simple pleasures. No doubt inspired by all of our talk of Brunel and shipwrights of the past, P&O Ferries announced last week that they are investing €350m in two new car-passenger ferries that will operate on the Dover Calais route. The two vessels are expected for delivery in 2010 and 2011 respectively and will be built in the Aker Yards at Rauma in Finland. The two new vessels which will join the P&O fleet of ferries that sails to France are expected to become the largest ferries that will sail in the English Channel. They will have capacity to carry 180 freight vehicles, 195 tourist cars and up to 2,000 passengers. Their vital statistics will be just as impressive, weighing 49,000 gross tonnes, with a length of 210 metres and having 2,700 metres of vehicle space or better put, the length of 27 football pitches. 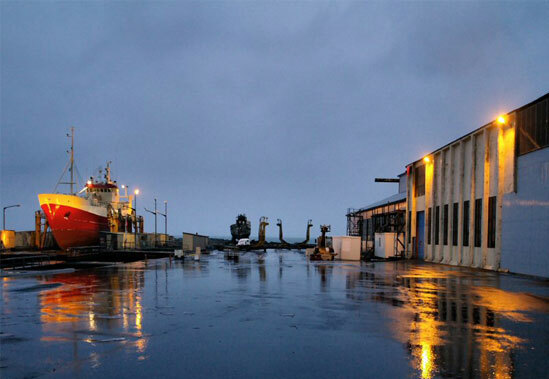 Aker are one of the world’s two biggest cruise ship builders and they own dry docks in Finland and France. By building these new vessels and contracting one of the world’s finest shipbuilding companies, P&O Ferries have signalled their intent to patrol the English Channel for long into the future, and the greater quality and capacity will signify better experiences and better prices for the customer. Exciting times loom large on the south English coast. 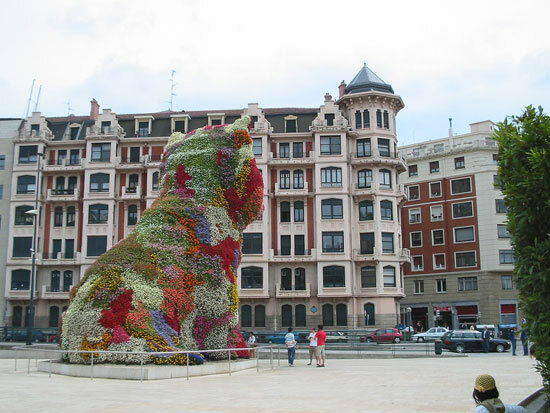 You might not expect to find a towering puppy peering over the city of Bilbao, but if you visit you’ll find one. John Hillman explains all. Fans of American artist Jeff Koons will know all about his 12.4 meter topiary sculpture Puppy. For those of you that don’t I ask you: What have you been doing with your lives? Walking along the banks of the Nervion River in Bilbao on a warm afternoon you will see the famous forms of the Guggenheim Museum long before you reach them. The building is a vast structure of shattered steel shapes that overlap and intersect with each other, like a silver 3D cubism piece that’s been swallowed up and spat back out by an Apple Mac. Never was a building better suited to the cultural history of a nation than the Guggenheim’s to Spain. But what totally blows you away when you reach the building is the sudden discovery of Koons’ enormous Puppy. Literally, a 42 foot West Highland white terrier created from a kaleidoscopic bloom of multi-coloured flowers. What strikes me about this wonderful work of art is that, just as the Guggenheim belongs in the land of Picasso and Dali, surely a work of supreme kitsch like Puppy should be brought to England, land of dog-lovers and gardeners, and placed in the middle of Hyde Park for Britons to enjoy. Ah, but then I think, is that really the right way to appreciate something as magnificent as this. Surely in the UK this would be mistaken as the work of an over enthusiastic gardener, and not a statement by, for me at least, one of the best artists working in the world today. Perhaps seeing it here in the drier and more passionate landscape of northern Spain is what really gives the piece its drama, the fact that it feels like, somehow, it just doesn’t belong. You can enjoy this wonderful work of art for free when you are in Bilbao, just head along the river towards the big silver spaceship and see it for yourself. You can even go for a look in the middle of the night after a few drinks. Now where else in the world can you get drunk and stare at a 40 foot terrier made out of flowers? Only in the land of Dali and Picasso I suppose.